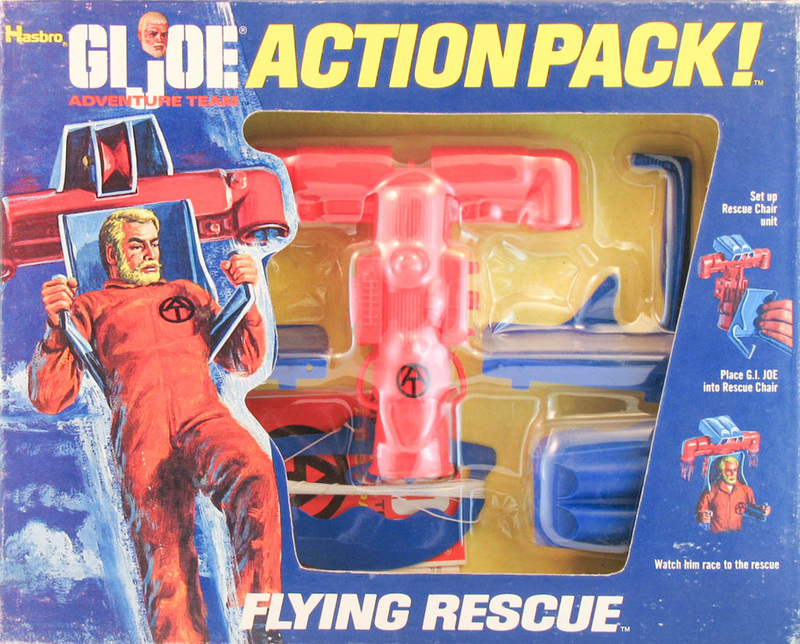 Flying Rescue (7362) recycled the rocket pack first released in white in the 1970 Flying Space Adventure set. Somehow the jet pack makes more sense a terrestrial flight pack. Regardless, it makes a stronger visual impression molded on bold red and blue. Note that the 'rescue chair' grips go under Joe's arms. For some inexplicable reason many collectors display this set with the handles upside down. The handle with the string clips to the back of the pack for storage. To play, unwrap the string, slide it through the pulley on top of the jet pack, hook the end to a chair or door knob, and let Joe zoom to the rescue.